THE Balbithan herd of pedigree Charolais cattle owned by Andrew and Beth White, Worth Matravers, Dorset, dispersed at Sedgemoor. 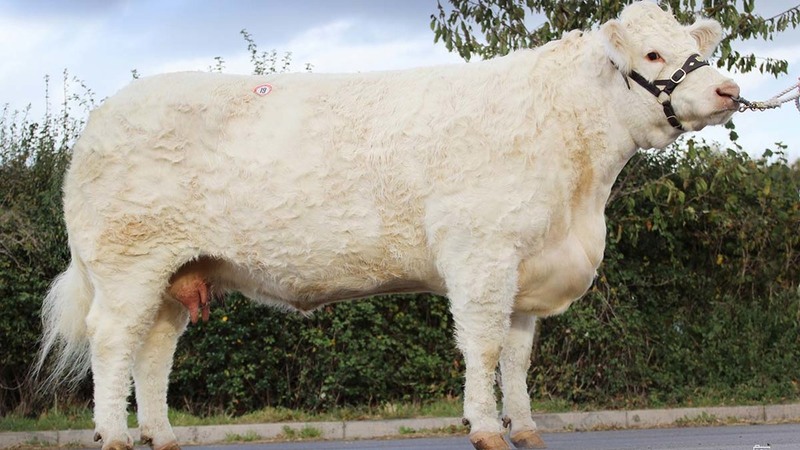 A new Charolais record average of £8,550.65 for the 23 cows and calves sold was set. Leading the price list and achieving a new centre record at 17,500gns was the cow Balbithan Faith, which sold with its six-month-old Goldies Eddy-sired bull calf at foot. March 2010-born Faith is by Newhouse Benson and out of Balbithan Una. The outfit sold to Llanmorlais Pedigree Charolais, Carmarthen. The twice national breed show supreme champion Balbithan Iona sold with its bull calf, also by Eddy, to an undisclosed South West buyer for 15,000gns. By Chunal Dougie and born in January 2013, Iona has picked up 10 inter-breed titles in its showing career. Two further cow and calf outfits sold for a combined total of 14,200gns. This included Balbithan Nabraska, a March-born heifer calf by Davally Illusion which sold for 8,800gns to Thor Atkinson, Ulverston,, setting a new heifer calf breed record. Its dam Balbithan Georgia, went for 5,400gns to J.J. McGuigan, Maghera. Also at this money was Balbithan Gilly, a Chunal Dougie daughter which sold for the top cow price of 9,000gns to Jonathan Crawford, Maghera. Its son Balbithan Napoleon made 5,200gns to Ben Trim, Throop. 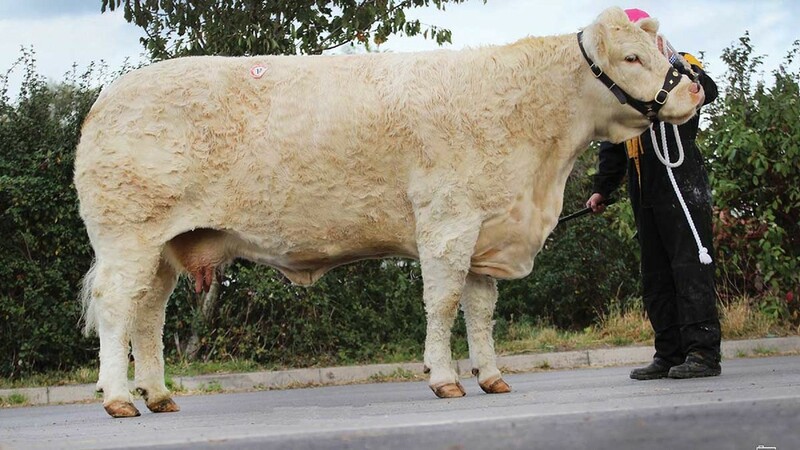 Topping the bull trade at 6,000gns was the Goldies Formidable son Goldies Lawson, a November 2015-born which sold to David and Bernadette Stacey, Cornwall. This year’s 2017 yearling show bull Balbithan Mackenzie, a son of Loganbar Goran made the same money, selling to J.H. Davies, Citrea. In-calf heifers witnessed an electric trade, peaking at 9,500gns for the two-year-old show heifer Balbithan Lupin which went home with the Kingsbere herd, Dorset. Yearling heifers sold to 5,500gns for the show heifer Balbithan Mowlem which sold to an undisclosed buyer. 23 cows and calves, £8,550.65; 4 in-calf cows, £4,121.25; 5 bulls, £5,103; 6 2-year-olds, £6,790; 10 yearling heifers, £4,557.